NVIDIA seems to be preparing more models than expected for the GeForce GTX 1660 Ti graphics card. The graphics card which is expected to release next week would be aiming a price point of around $279 US but if this rumor is true, then we can expect an even cheaper variant but not with a few sacrifices. 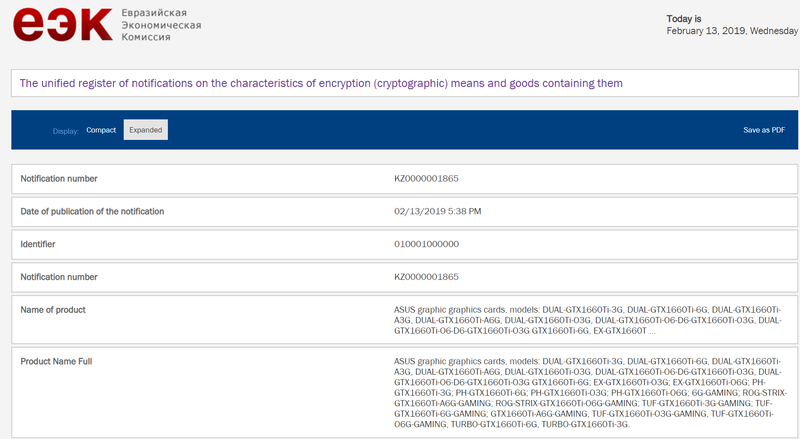 All of these models are from ASUS and the same models also exist in 6 GB flavors. The 6 GB lineup from ASUS additionally features the ROG STRIX Advanced and ROG STRIX OC edition graphics card which are the best custom models that ASUS has to offer. The interesting thing here would be the pricing as the GeForce GTX 1660 TI is expected to cost $279 US when it arrives on 22nd February. If the AIBs manage to price the 3 GB models closer to the $229 US market, it will be an interesting option indeed but compared to the 6 GB model, we can see the major sacrifice be the VRAM which may lead to stutters on higher resolutions or high-res texture intensive gaming titles. It is also not known whether this model would be limited to AIBs or will be sold by NVIDIA too. Right now, it looks like the models will be AIB only and will be available in select markets. The GeForce GTX 1660 is also expected to launch later in March with a price point close to $199 US. Honestly, it would have been better for NVIDIA to just name these cards, the GeForce GTX 2050 Ti and the GeForce GTX 2050 but considering the 20 series lineup is part of the RTX brand, the name change had to occur. Finally, we have our first look at the GeForce GTX 1660 TI’s GPU or the Turing TU116-400-A1. This is our first look at the GPU which is posted by Videocardz. 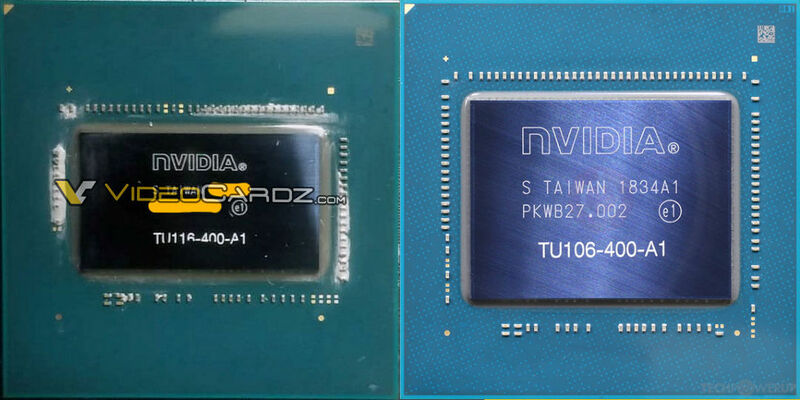 The chip is much smaller than the TU106 die featured on the GeForce RTX 2060 and RTX 2070. 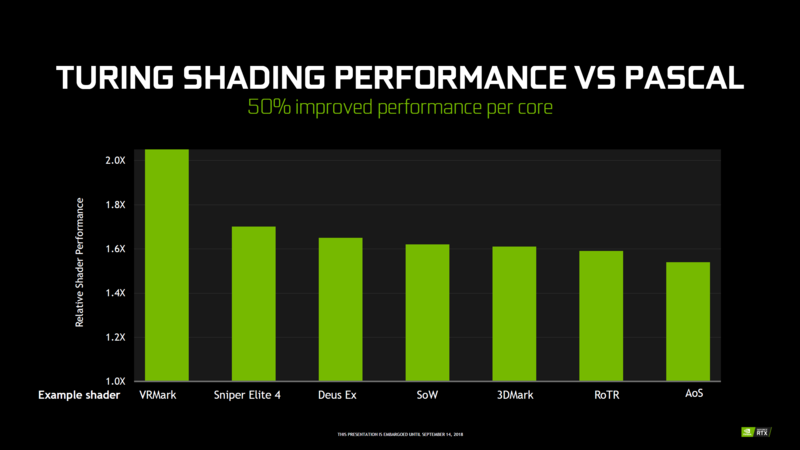 It means that the new die indeed removes the Tensor and RT cores featured on the RTX cards, hence saving on die space. It will be very interesting to see how this chip’s performance, thermals, clocks, and efficiency of this particular GPU will end up being like against the competition which is clearly the mid-range selection from AMD (RX 580 / RX 590).